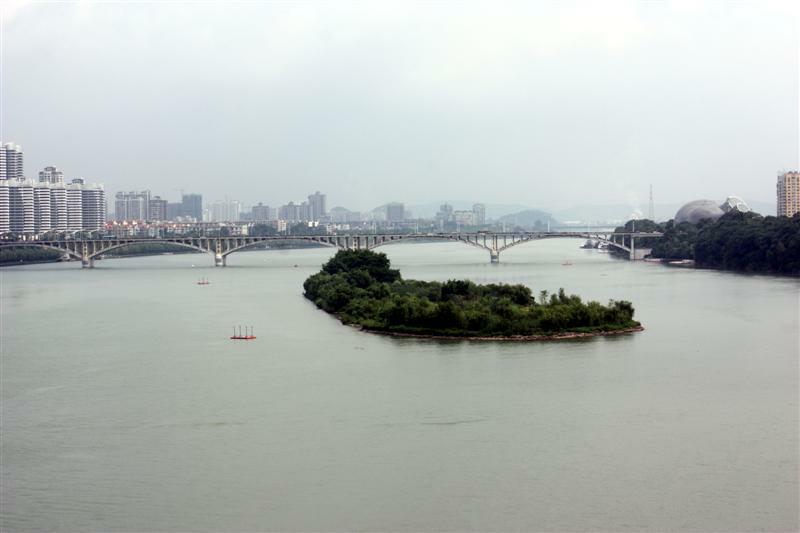 North (downstream) of Wenchang Bridge there is a small island in the river. 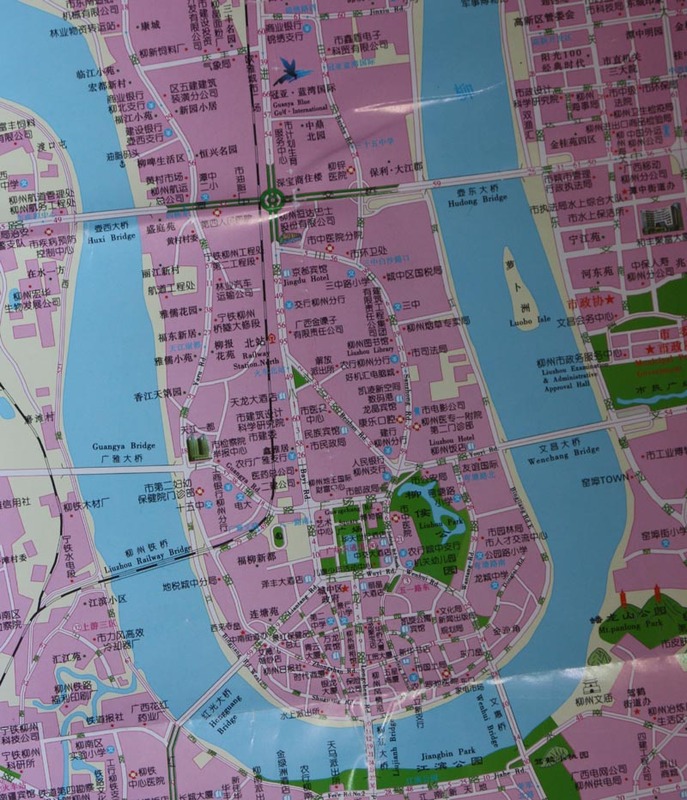 This is 萝卜洲 or Radish Island, presumably so-named for its shape which roughly resembles that of a Chinese white radish or daikon. Beyond it lies our next bridge of the series – Hudong Bridge (壶东大桥). Hudong means “east of the pot” , the pot being the peninsular area of central Liuzhou, which in some people’s eyes resembles a plant pot, specifically one of those used to hold bonsai trees. I can’t see it myself. 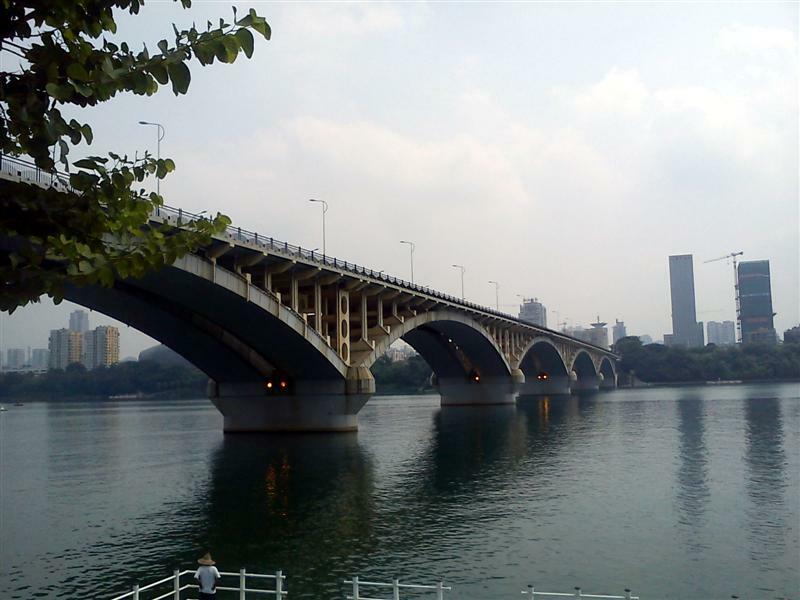 The locals (and Liuzhou Bus company) refer to the bridge as No. 3 Bridge as it was the third permanent road bridge (1986), after Liujiang and Hedong Bridges. Although of little architectural interest, the rather plain bridge is another important link between the east of the city and the northern part of the city centre. 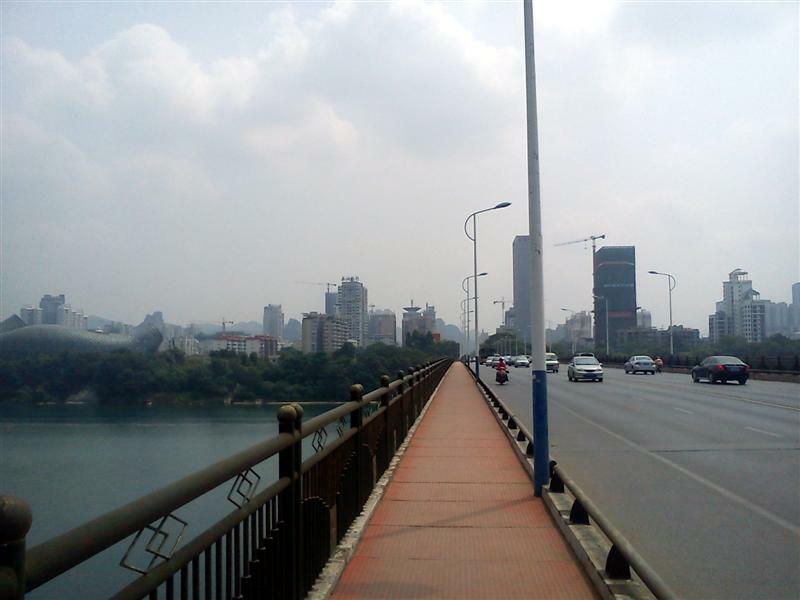 It runs 695 metres from Tanzhong East Road (潭中东路) into the “pot” on Tanzhong Road, (潭中路) which leads to Huxi (west of the pot) Bridge (壶西大桥) which takes traffic into the west of the city. 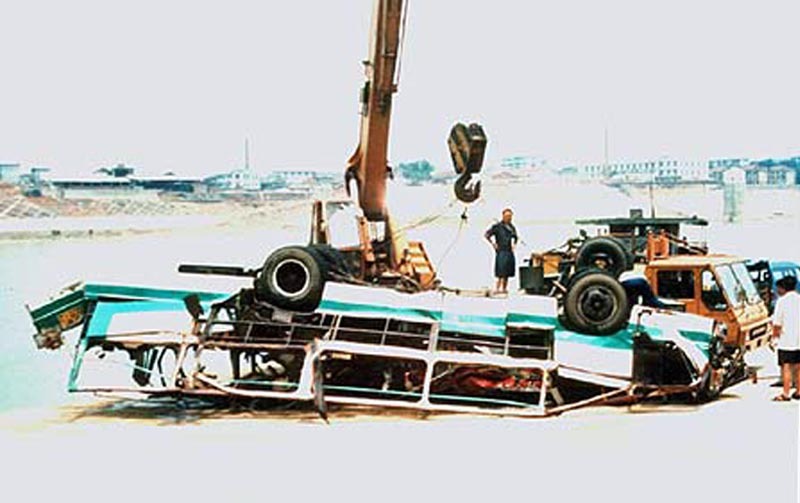 On the 7th of July 2000, 78 passengers (44 female, 34 male) and the female driver were killed when a number 6 bus veered off Hudong ( No. 3) Bridge and fell 27 metres into the river. The precise cause of the accident remains controversial, but the official version is that the bus was attempting to avoid some debris left behind by workers repairing the road surface. Indeed a number of road workers were subsequently imprisoned. The families of the victims have never accepted this verdict and still hold regular protests at the spot where the accident occurred. Many of the victims were students of Guangxi Technology Institute returning to the school after spending the evening celebrating the end of term and exams. The bus company never paid compensation and denied all responsibility. 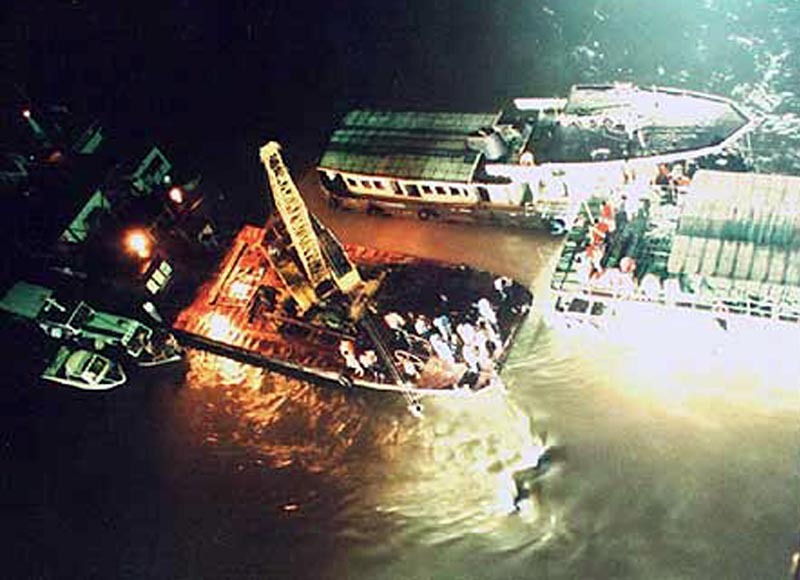 The accident became known as the 7-8 incident, as 78 passengers died on July 8th (7/8 Chinese style). Not actually correct. 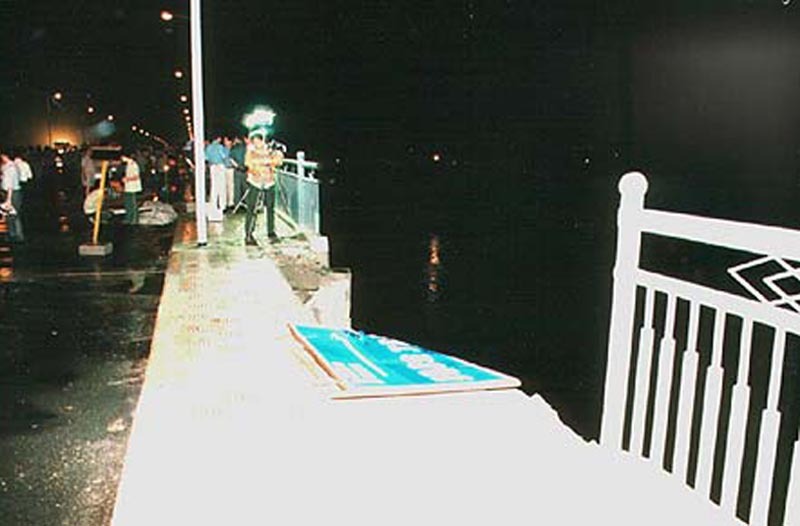 The accident took place at 10:30 p.m. on the 7th, but most people didn’t hear about it until the next day. The incident was reported internationally (My parents called from England to make sure I wasn’t on the bus!) Reports in the west blamed flooding but, although it was raining, the river was actually at a low.
. 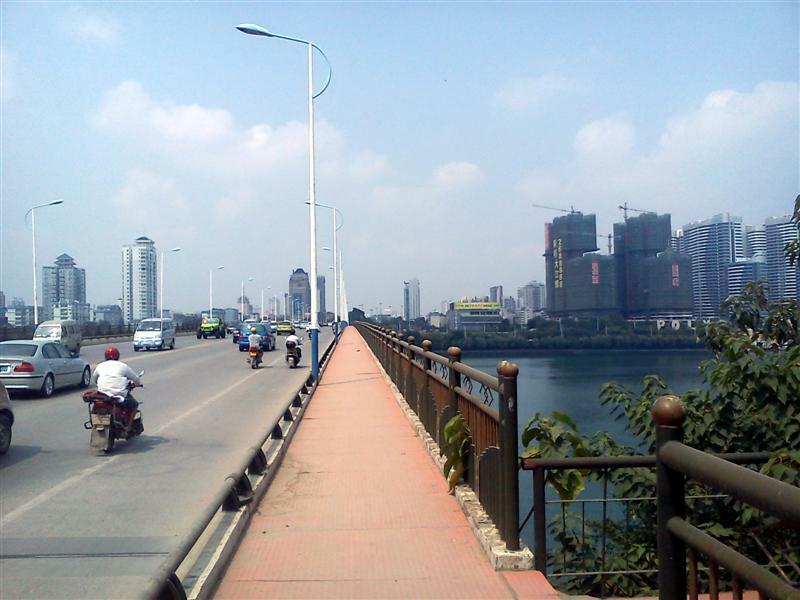 This entry was posted on Saturday, September 6th, 2014 at 2:18 pm	and is filed under Liuzhou Bridges, Traffic Traumas. You can follow any responses to this entry through the RSS 2.0 feed. Both comments and pings are currently closed.